Tickets: £4.50 per session, or £8 if booking both morning and evening sessions on any one day. 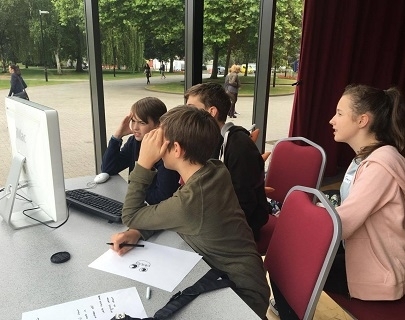 We are pleased to offer the opportunity of wrap-around care for young people up to 16 years old attending the Make It Reel Summer Film School. This is provided through the University of Warwick Summer School. Parents can book wrap-around care for their children either before the Make It Reel Summer Film School sessions start at 10am each day, after they finish from 4pm, or both. The morning session will run from 8-10am, and the afternoon session will run from 4-6pm. Sessions are £4.50 each, or £8 if both the morning and afternoon sessions are booked for the same day. The discount will automatically be applied in the basket at checkout. Full details about the wrap-around care will be sent to parents closer to the time of the Summer Film School.